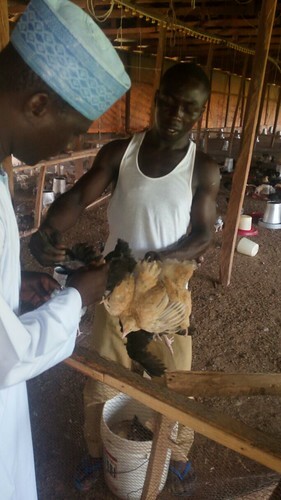 And so the African Chicken Genetic Gains program gets literally fleshed out in Nigeria. Over the past few months, the chicken strains to be tested in the three program countries (Ethiopia, Nigeria and Tanzania) have been distributed. In Nigeria, the first episode of bird distribution has been completed early September across the zones. The 6-week old birds were distributed to Kwara, Nasarawa, Rivers and Kebbi states in three to five days. In Imo State only two of the local government areas (LGAs) were covered in the first week of activity; the other four LGAs were completed a week later, due to customary restrictions in entering some of the villages in the event of death, festivals or annual village meetings. Generally the brooding was successful across the zones for the strains although Kuroiler strains had the highest mortality rate (over 20%), both on farms and on station. 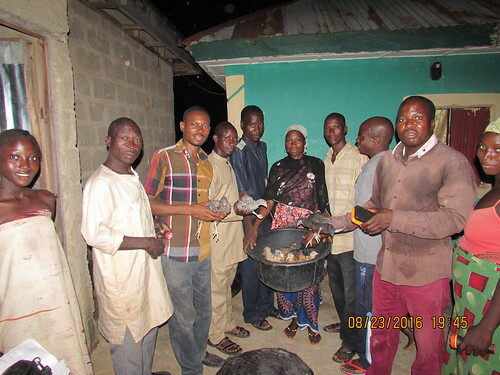 23 chickens from the first batch of Fulani were also distributed in Nasarawa state. All the birds were administered fowl pox vaccine before leaving the brooder farms. Veterinary services were engaged to conduct postmortem on the kuroiler though nothing unusual was found. Medications were administered for salmonella infection and management conditions in the brooder pen were adjusted. Despite some transportation problems, all the birds were transported successfully, and usually late in the evenings to reduce stress and to ensure farmers had returned home. The Field officers were fully engaged in the activity as they tagged & transported the birds to their respective villages under the supervision of the ACGG sub-national coordinators and the supervisors. For the rest of the month, a second and third batch of Fulani strains will be distributed to Imo & Kwara (Sept 11 & 25) and a first batch of FUNAAB Alpha will be delivered to Kwara on 18 September. Tags: distribution, vaccination. Bookmark the permalink. How to acquire the kuroiler chickens,Iam in Guinea West Africa? The Kuroiler chicken being tested by ACGG under experimental and farmers management condition was developed in India and imported from Uganda. We are not aware if the breed can be locally available in your country. 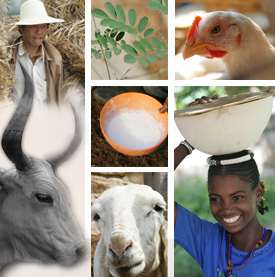 Once ACGG evaluation has been finalized, we plan to upscale superior chicken strains to other African countries.